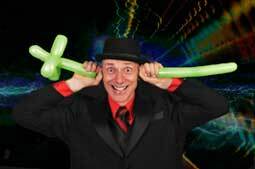 A Good Trade Show Magician Will Bring More Traffic To Your Booth Guaranteed! 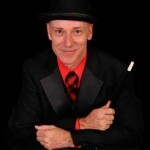 If you are searching for magician for trade show you have come to the right place. I will consult with you prior to the booking to establish your requirements, whether that be to get a sales or marketing message out to the attendees or to draw a crowd to your booth so they can be directed to your sales people for further information. Giveaways are not the answer. Giving away pens, pads and novelty items like everybody else will not attract people to your booth and it will not articulate your marketing message to your potential clients, believe me, I have seen it so many times. It is static marketing. Active marketing it something totally different, and although it may be a bit uncomfortable to give this duty to staff members, it is something I do all the time. I use magic entertainment to draw people to your stand and I can say this, as soon as I start my show, people will stop to look. I guarantee it. I can then weave in your story in an entertaining manner so the message sound like entertainment, but in fact they are getting all the facts and it will create further interest in your product, whether or not it is a tangible product. You will get a better return on investment (ROI) is you take direct action to engage, entertain and educate and I have not seen a better way of doing this than to employ a skilled trade show magician. 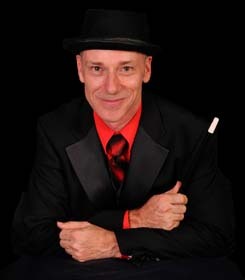 Glen Rhodes is one of very few trade show magician in the country who is able to work with you to get maximum results from your trade show exhibit. Don‚¬„¢t just sit on a chair giving away novelty items hoping that you will be able to engage your audience and get a ROI or cover the cost of your booth. Trade show magic is very popular all around the world, especially in the USA where companies want a point of difference in a tough competitive market and it has been proven that you will get a better ROI with active magic marketing. My magic style is sophisticated yet fun and aimed at an adult audience, combined with the ability to confidently communicate your message or promote your product, it is a winning formula. This entry was posted in Welcome and tagged . Bookmark the permalink.